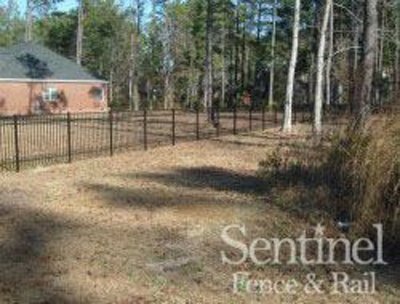 The aluminum fences we sell throughout Richmond, Chesterfield, Mechanicsville, and Central VA are some of our most popular fencing. 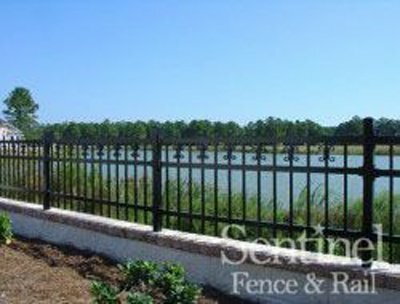 Aluminum is a lightweight, affordable, and highly durable alternative to wrought iron fencing. 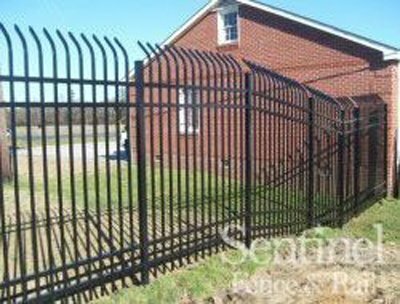 They are some of our most premium products because these fences are made right here in the US and offer outstanding performance because of the build quality. 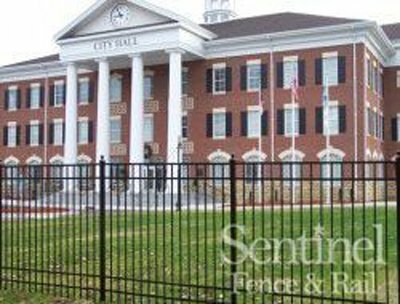 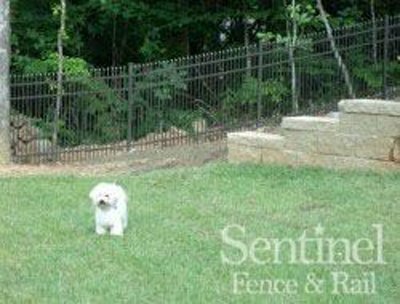 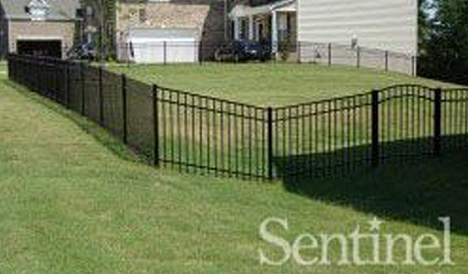 90% of the aluminum fencing we install is from the Sentinel brand. 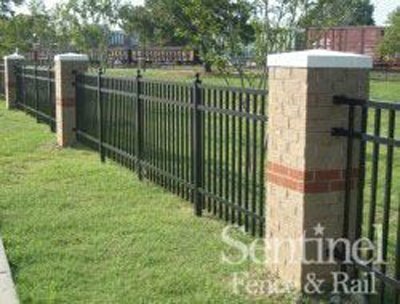 These aluminum fences come in a variety of heights, styles, and colors made to meet the customers’ needs whether it be pool fencing, puppy fencing, decorative or security fencing. 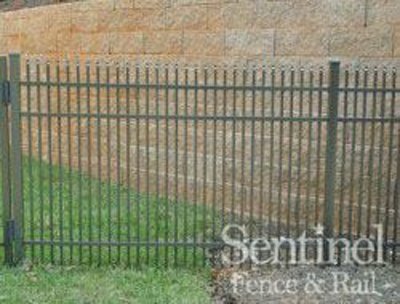 Our aluminum fences are great for both residential and commercial properties because they have a stylish upscale look and are very effective barriers to entry into your property. 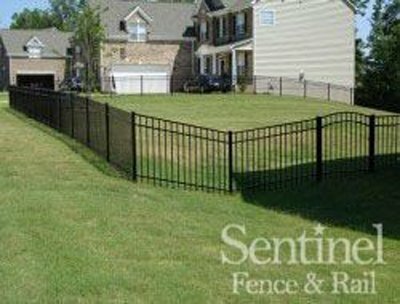 This great option comes in many different styles. 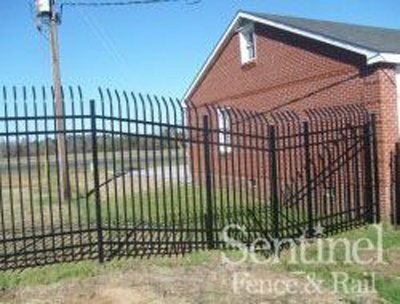 There are just a few of the aluminum fence styles we offer right here in Central VA. For additional styles, pictures and information about this product line, you can view the manufacturer’s website. 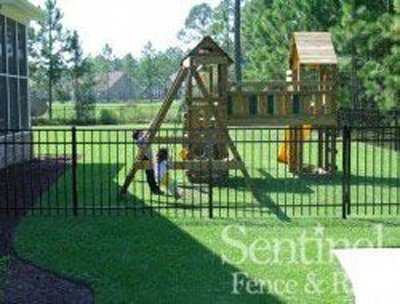 It also has safety advantages over wood and chain link fences which are easier to climb over. 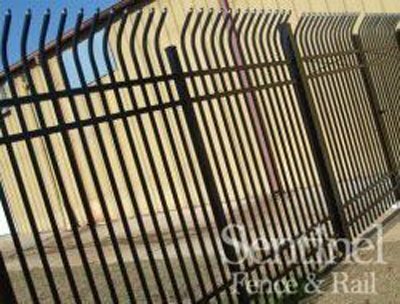 Chain link fencing is also easy to cut making these options less effective if you are concerned about safety and security. 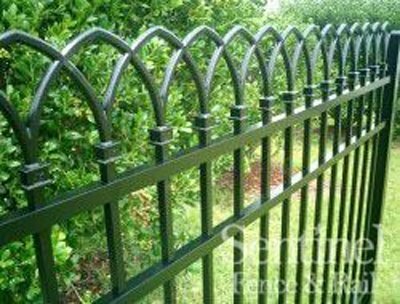 Another advantage of aluminum fences is that they are resistant to rust. 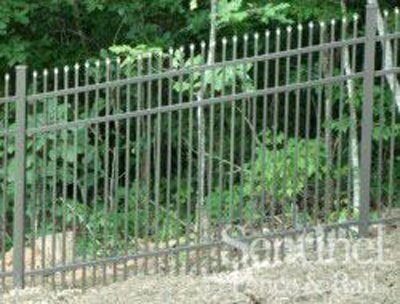 Because aluminum does not oxidize, an aluminum fence can technically last for over a thousand years without disintegrating. 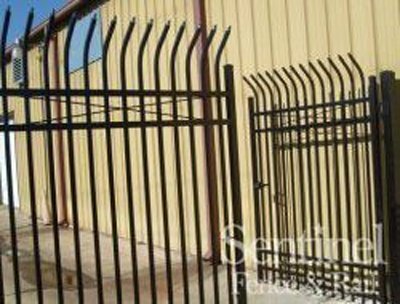 They are also easy to maintain because they require very little maintenance. 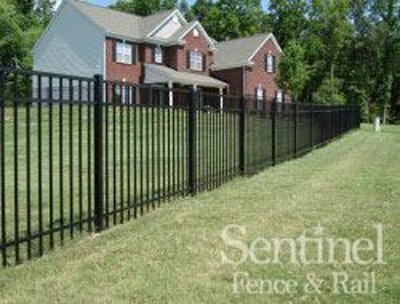 If you are searching for the absolute best in home and commercial fencing in Richmond VA or nearby areas, you should consider our aluminum fence options. 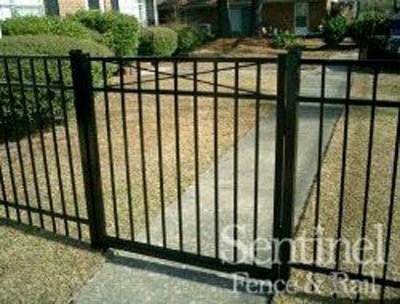 They are great at providing added security and curb appeal without being evasive. 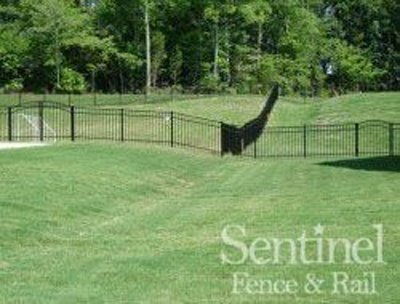 Here at Fencing Unlimited Inc., we have years of experience in providing Central Virginia homeowners and businesses with the finest in aluminum fencing. 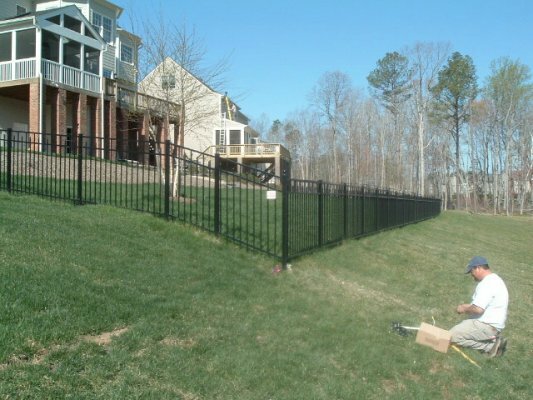 We serve Richmond, Chesterfield, Mechanicsville, Hanover, the West End and all the way out to Prince George in Virginia. 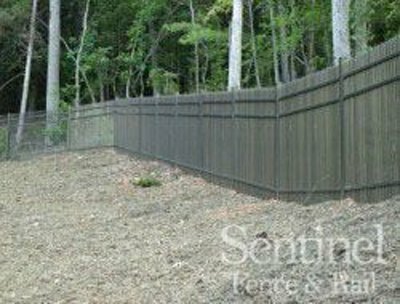 Get in touch today for a free estimate!